Long-sleeve everyday shirt with slim fit in wonderfully thick cotton flannel. Two breast pockets with flaps, buttons and pen pockets. Button-down collar and G-1000® reinforcement at the collar, sleeve cuffs and pocket flap. Buttons to hold rolled-up sleeves in place. 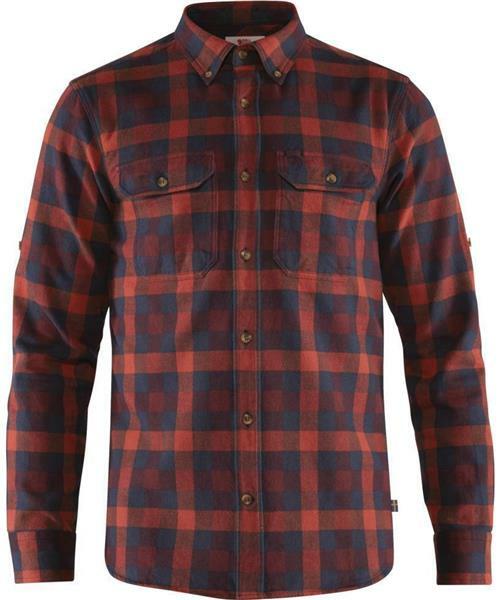 Skog Shirt - Plaid 1 - Mens is rated 4.0 out of 5 by 1. Rated 4 out of 5 by Shayne21 from Nice but Slim An extremely nice, well made shirt. I wear medium button-up shirts and although this medium fits, it's on the verge of being too small. Very slim fitting.